The medical/health and insurance industries are all facing increasingly uncertain times as matters of operation, profit, financial solvency and, most important of all, payment systems for Americans currently do not stand on solid ground. With the lack of government progress coming up with a solid plan to repeal and replace the Affordable Care Act, the efficient handling of finances in revenue cycle management becomes more critical now than ever. Revenue cycle management software and systems, or RCM, are a critical, though often overlooked aspect of the operations in clinics, hospitals and with other caregivers in the industry. A recent survey, however, points out that 94% of CFOs in these organizations now believe that changing to better, more efficient RCM processes will significantly increase efficiency and subsequent financial health of an organization. The reasons for this are numerous. Older RCM systems that are not properly configured to deal with modern demands give rise to lost time and unnecessary, extra work required to bring finances in line. New trends, such as value-based reimbursement models link care to outcomes and require a new, more comprehensive form of flexibility and financial management than what older systems can quickly process. Problems like this create general inefficiencies all throughout the managing of monthly financial activity, needlessly drawing more time and resources. However, by outsourcing RCM needs to an experienced vendor, a proper analysis of an organization’s processes and requirements can quickly streamline many activities that might have taken up too much time and valuable manpower from staff. By outsourcing RCM systems to an experienced group, this also means that the changes in payment, reimbursement and any other aspects of finance are now efficiently, expertly handled by professionals. Rather than wrestle with an in-house system that must be changed to accommodate a new process, experts within the vendor itself are primed to analyze the latest changes or trends in the system. They can advise your CFO or other financial staff on the best way to make adjustments for these new developments and then make those changes to your RCM based on your organization’s current system and needs. 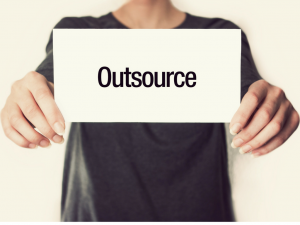 Being able to smoothly and quickly adapt to RCM changes without disrupting financial systems often makes great gains in the profitability of a health organization, quickly justifying the expense of outsourcing. By minimizing downtime, taking away the headache of implementing new measures and changes, and allowing for easy RCM to be handled both within and without, this smoother, efficient operation often prevents many unprofitable crises from occurring before they can do real damage. When combined with the revenue data and analytics that can provide invaluable information on operations and where improvements can be made, this adds even more value. Solid data on financial performance, as well as how payments, reimbursements and other activities are handled are crucial in any attempt to overhaul and improve an existing RCM system. Without knowing what is performing well, and what isn’t, and more importantly, why such factors are performing well or poorly, substantial, positive change can’t be made. Find out today how Rev-Ignition can help with your Revenue Cycle Management – RCM by contacting us at (844) 297-9944 or sales@rev-ignition.com.